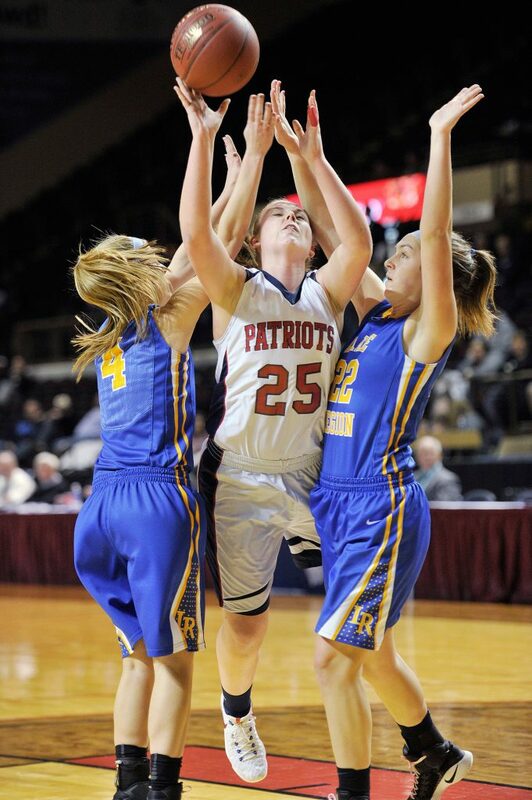 The top-seeded Patriots hold on for a 33-29 win in a Class B South semifinal. Trailing by a point entering the fourth quarter Thursday, Mike Andreasen had a simple question for his top-ranked Gray-New Gloucester girls’ basketball team. 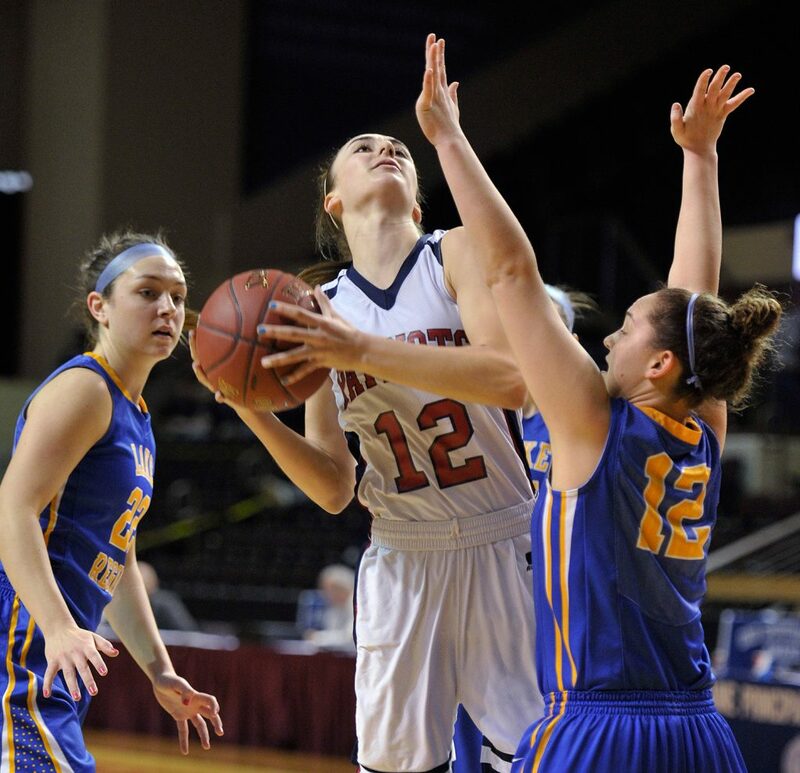 Gray-New Gloucester clamped down defensively in the final period to rally past fifth-seeded Lake Region 33-29 in a Class B South semifinal at the Cross Insurance Arena. 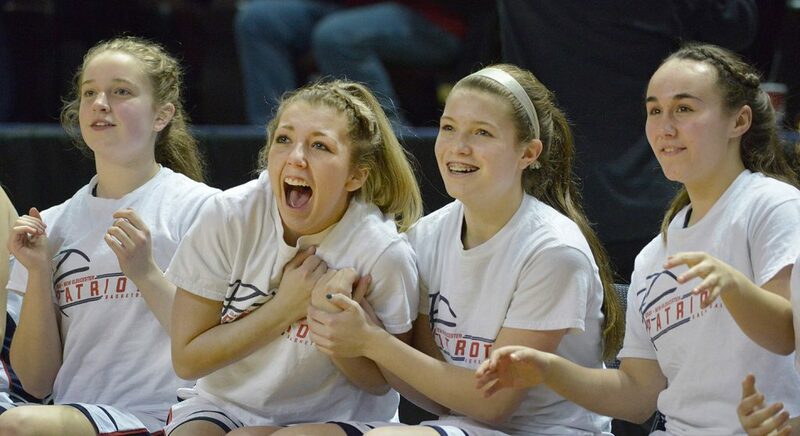 The Patriots held the Lakers to three points in the final quarter and pulled ahead in the final 2:09 to advance to the regional final for the second consecutive year. Gray-New Gloucester (19-1) will play sixth-ranked Lincoln Academy in the Class B South final for the second consecutive year. The Patriots won last year, 45-30. Lake Region finished 13-7. This was a tight game throughout. Gray-New Gloucester’s biggest lead was six (21-15, which was the halftime score) and Lake Region’s biggest lead was three (10-7 early in the second). The Lakers made a run in the third quarter, scoring the first six points to tie the game at 21. Then they moved ahead 26-23 on a 3-pointer by Kristen Huntress with 1:09 left in the third. 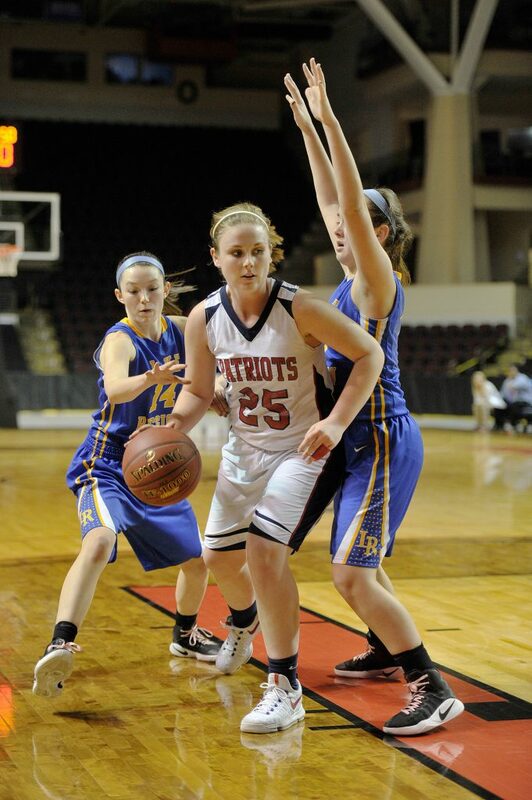 Two foul shots by Conley with 14 seconds remaining pulled the Patriots within 26-25 entering the fourth – only the second time this year Gray-New Gloucester trailed going into the fourth. 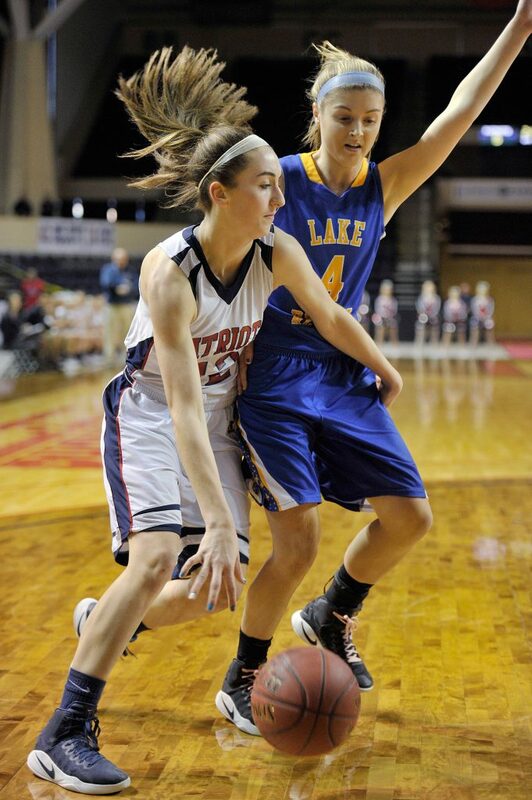 Lake Region controlled the tempo in the third as the Patriots struggled to get anything going. Those opportunities vanished in the fourth quarter as the Patriots held the Lakers to one basket – a 3-pointer by Chandler True with 5:28 remaining – that tied the game at 29. 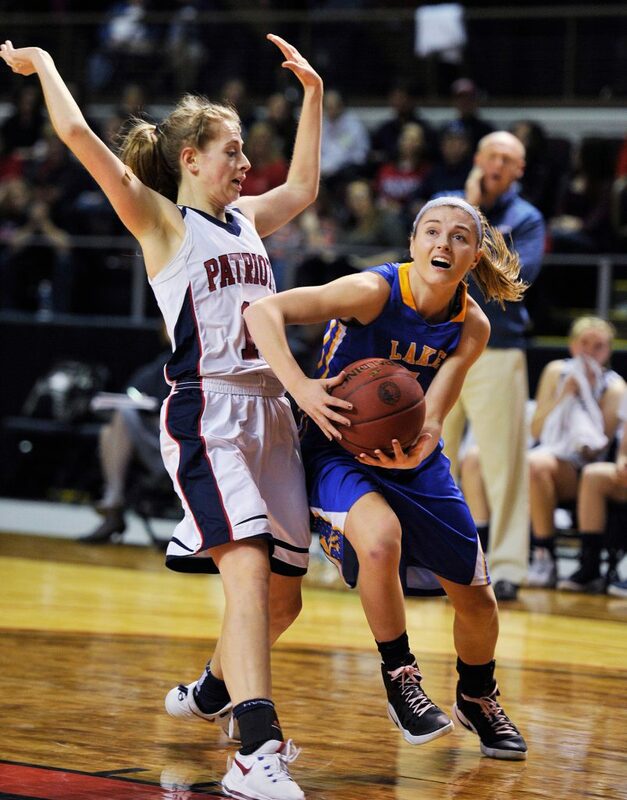 Gray-New Gloucester only scored eight points in the fourth, but that was enough because of its defense. Conley gave the Patriots a 30-29 lead with a foul shot with 2:09 remaining. 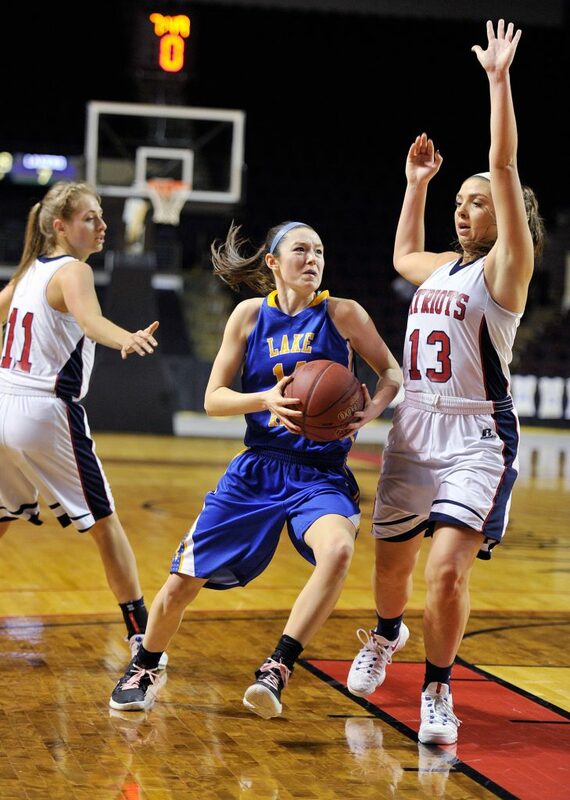 Then she blocked a shot on Lake Region’s next possession. That set up a sneak-away layup by Brianna Jordan (four of her seven points in the fourth) off an in-bounds play at half-court, giving Gray-New Gloucester a 32-29 lead with 51 seconds left. Conley then got the rebound of a Lake Region inside miss. Alicia Dumont hit one foul shot with 18.8 seconds left to seal it.